I love Monty Python line “Not dead yet,” That’s my favorite line. I feel that way when summer comes and it’s time to make my doctors appointments. I always forget who I’ve seen, when, and who is due to come up in the batting order. This year, I called for all my annual physicals except for my eye doctor–they were out to lunch. Literally. Figuratively, they’re pretty on the ball. The eye ball. Apparently–I can see most of the time. That’s what always happens–I get cards in the mail and call answering services, get messages, or the “lunch is between…” rejection and never get to schedule all of them. Invariably, I give up on a few, only to forget which ones and whether I tried again this year. The ones I do go to see figure I’ll never come back again, and schedule eighty follow-up visits so we can become best friends again. Or say, “You should see Dr. Payne about that,” and generate another set of doctor’s appointments. “We haven’t seen you in three years.” Oops. 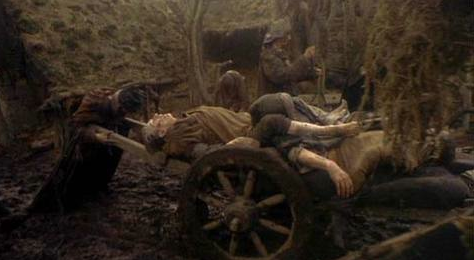 Then I revert to my old fall-back line from Monty Python, “Not dead yet.” I made the appointment. Another said, “Looks good,” and scheduled me for next year, two were out to lunch, one stated, “I don’t need to see you, you’re right,” The last one said, “Back in two weeks, and call this one.” This One didn’t take insurance, so This One is crossed off the list. I like to use my insurance. It’s the reason I go to the doctors. So, I’m starting to feel like I don’t get a summer off, I just get a summer of appointments and co-pays, but as a teacher co-pays are the benefits I enjoy most. When I started teaching, there was no co-pay. It was the thing I loved best. I had just had surgery leaving Corporate America, and there was a co-pay, a co-share, and you had to leave a tip when you saw the doctor. No one ever went to see the doctor as a result. Teachers could go any time they wanted–no co-pay. You could go just because you were in the neighborhood or the doctor was cute or you wanted to check a hangnail. Getting to use your benefits was almost like giving yourself a raise. When the world stared attacking medical benefits and we had to pay a five then ten-dollar co-pay, I was the first to whip out my wallet and jump for joy, “I got this.” It still seemed free to me. At the dentist, I said, “Are you sure?” In response to a ten-dollar bill for services. When I worked for Corporate America it was a couple hundred and I had to fight the insurance company to get twenty or thirty bucks back. “Oh, yes, it’s ten dollars for the fluoride toothpaste.” I wanted to give her $15 for her time, but I handed over the $10 and walked away. Co-pays are higher these days and they add up after a while, especially when you get older. One doctor for aches and pains, one in case you can’t see, another to make sure you haven’t been standing out in the sun too long without your SPF 1000, and still more to make sure you are, in fact, the gender you say you are. Too many. And I still have one more appointment to make. But at least when I get them to pick up the phone, I’ll be able to say with metaphysical certitude, “Not dead yet,” and enjoy using my benefits one more time.